I have been doing a great deal of thinking about distinctions. Within popular discourse, there is considerable confusion regarding the value of, or motives behind, the making of distinctions. Much derision is directed towards any person or institution who disposes its use, as the act of distinguishing between someone or something as being not the same could lead to treating one differently than the other. This is promoted to be the root cause of cultural, political, religious, racial and gender strife. Indeed if one argues the merits of distinction-making then vitriolic charges of racism, sexism or elitism cannot be far behind. There is in effect a bias against making distinctions and this bias is one of the most pernicious tenets of progressive public policymaking as it favors ideology over evidence, which drives destructive decision-making to the detriment of public health. Plainly, the maniacal refusal of the U.S. Food and Drug Administration to make the obvious distinction that vaping is not smoking is dissuading smokers from making the switch, therefore putting lives in danger. Eschewing all evidence and defying all common sense the regulator continues to classify vapor products as tobacco products, even though tobacco is not found within. Defying this distinction leaves millions of American smokers with the false impression that vaping is as harmful or even more harmful than smoking—fueling the ever-widening war against what many doctors, researchers, and public health advocates say is the single greatest tool to eradicate smoking. There is some truth behind the charge that distinctions are made based on prejudgments. When one identifies a difference it is usually based on previously held knowledge and experience. We recognize the color blue and are capable of discerning the difference between the color green; pardon to those with deficient color perception (and pardon to those offended by my distinction of deficient). My point is, we do not need nor should we rely on a government regulator to pronounce that the sky is blue or the grass is green. These are distinctions individuals can make based on inherent understanding; much like the understanding that if something does not burn it cannot produce smoke. A fact wired into our DNA some 400,000 years ago when Man (poke) discovered fire. Sadly, the forces behind the war on vaping will not let something so trivial as the facts to get in the way of their plans to keep the spigot flowing with big tobacco’s billion-dollar annual payoff. 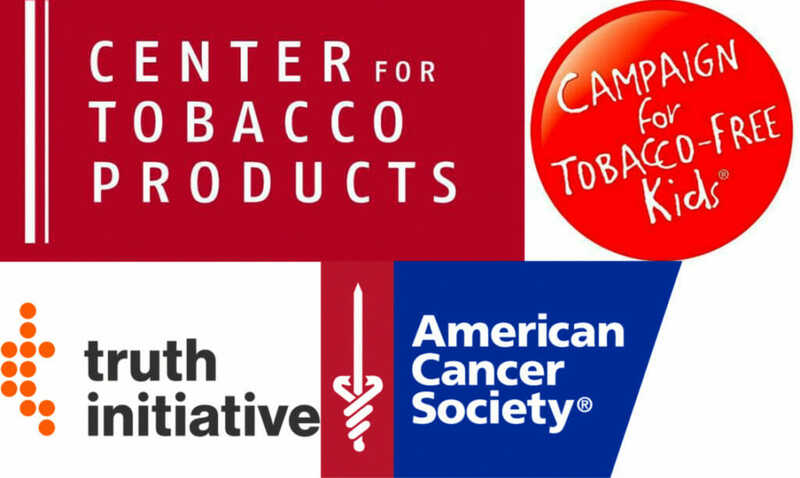 The Center for Tobacco Products, Truth Initiative, Campaign for Tobacco-Free Kids, American Cancer Society et al. are in business with big tobacco. Together with federal, state and local governments, they comprise an industry of industrial scale. Perhaps progressives are right about distinctions: considering tobacco control and big tobacco, there is a distinction but without a difference.